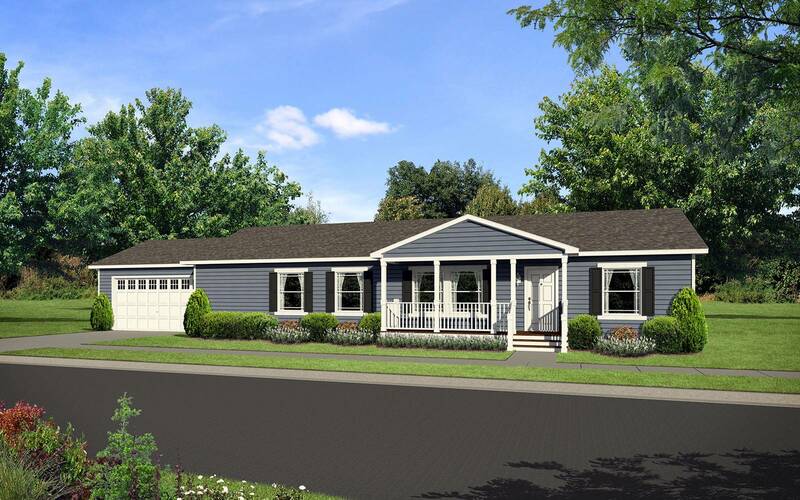 Classic front kitchen with large island work station/snack bar, spacious living room, master bedroom with glamour bath featuring large platform soaking tub, stall shower and dual sinks. 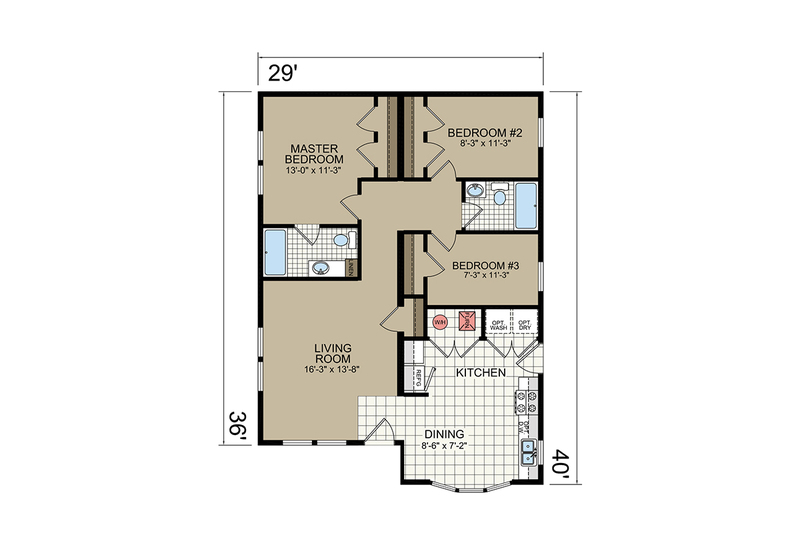 Expansive living room open to beautiful high function elegant kitchen, large guest bedrooms and an comforting master suite with luxury full five fixture in-suite bathroom. 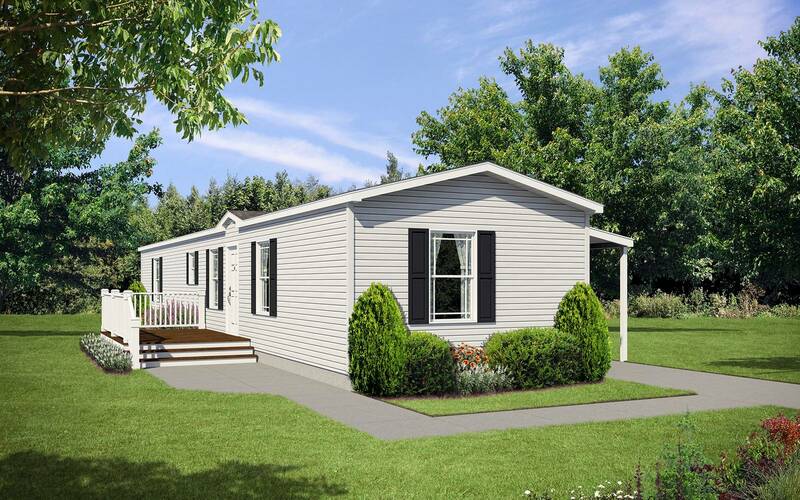 Efficiently designed modular family home with bright front kitchen, big bedrooms, spacious living room and an abundance of storage capacity throughout. 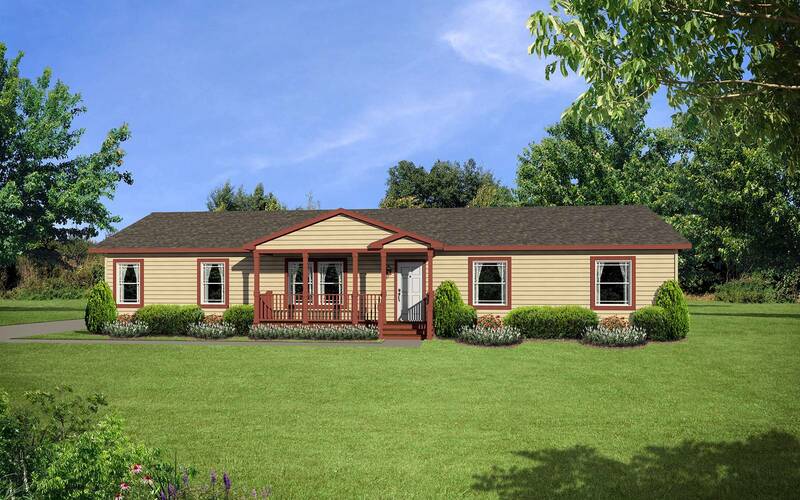 Small footprint quality built modular home with big features including large country style front kitchen, spacious living room, king size bedrooms and elegant baths. 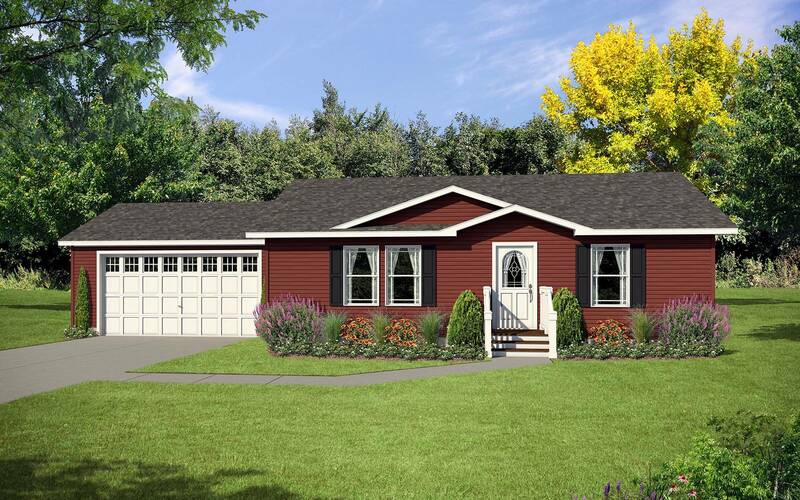 Compact value oriented quality home features gourmet style eat-in kitchen, large living room and extra storage closets and cabinetry throughout this sensibly crafted three bedroom home. 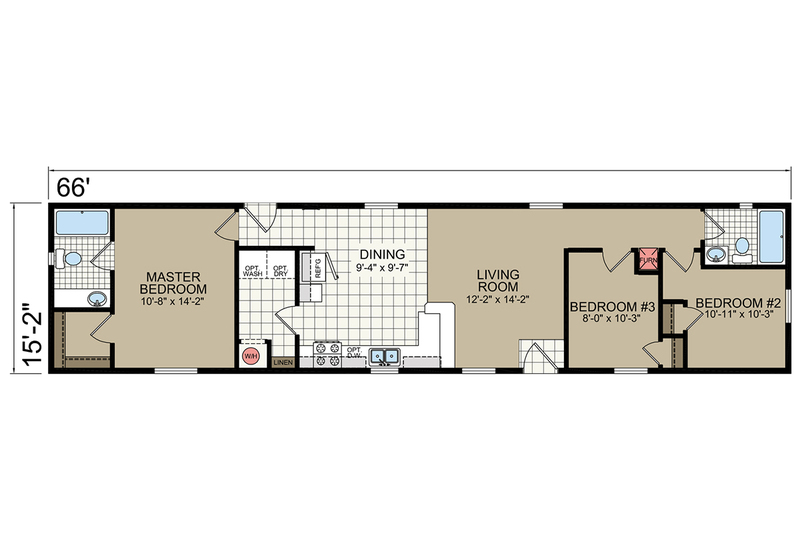 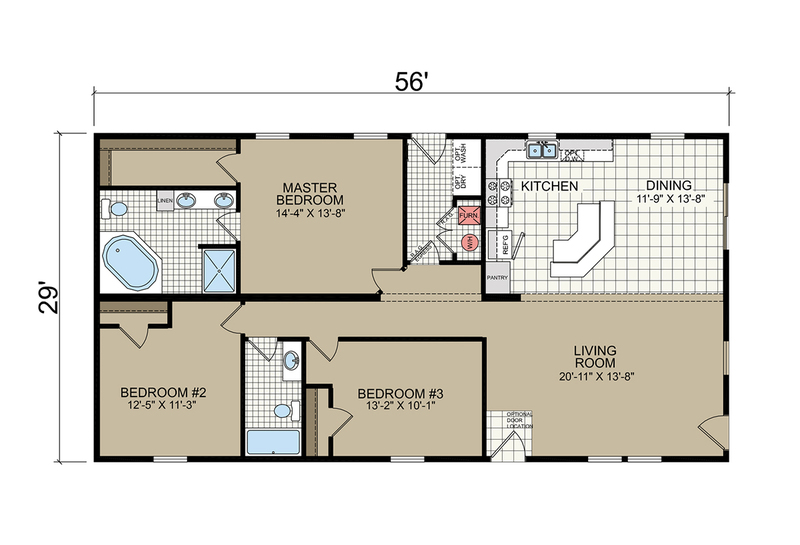 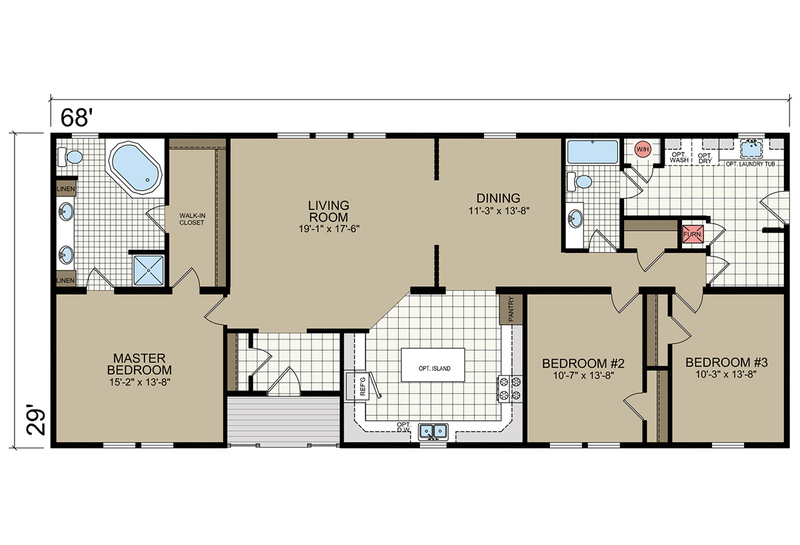 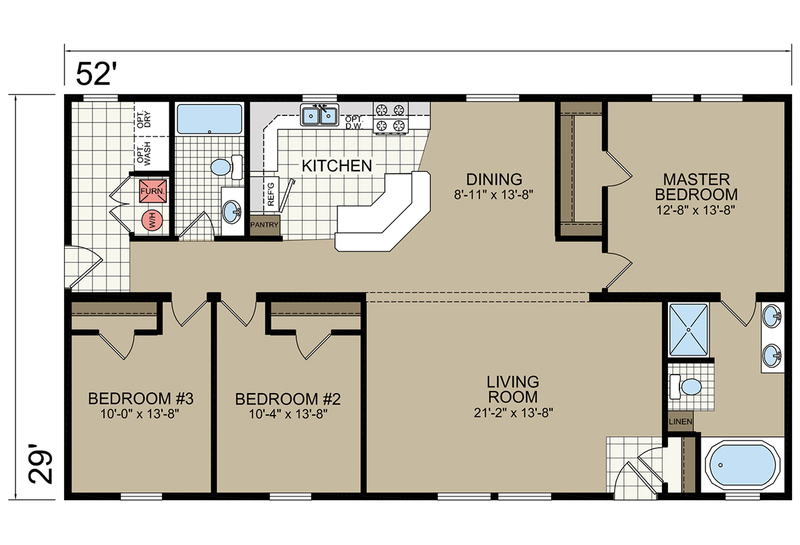 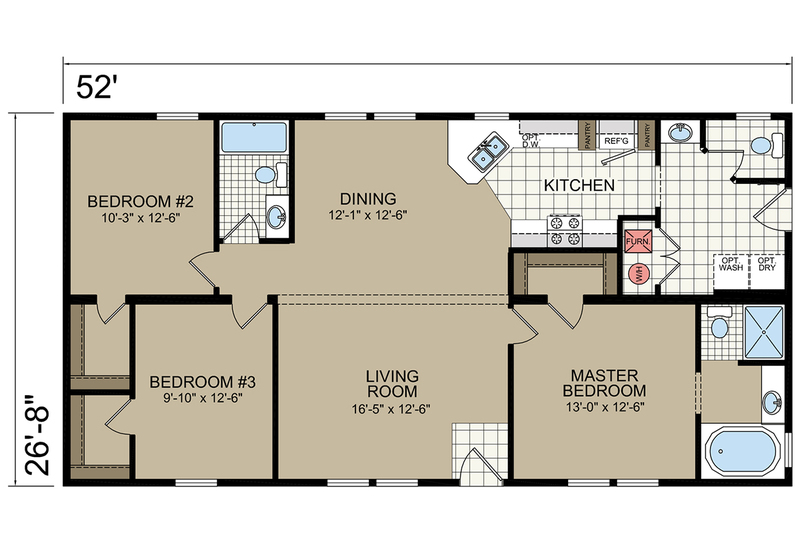 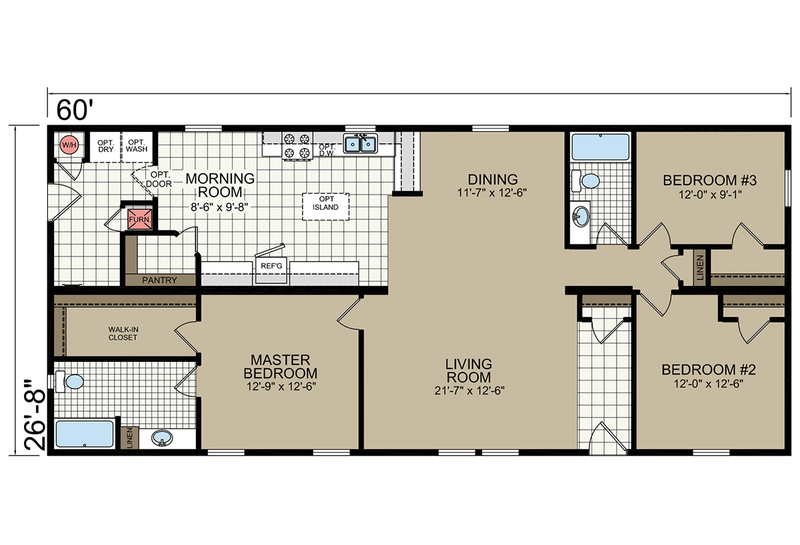 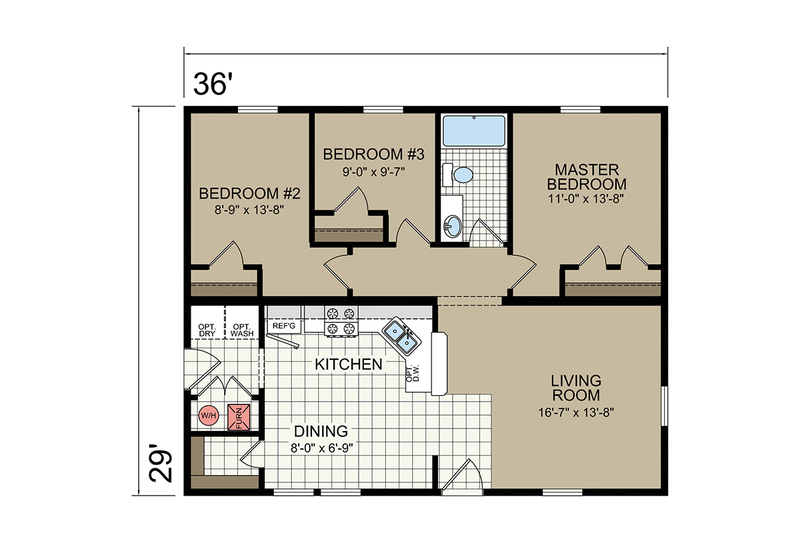 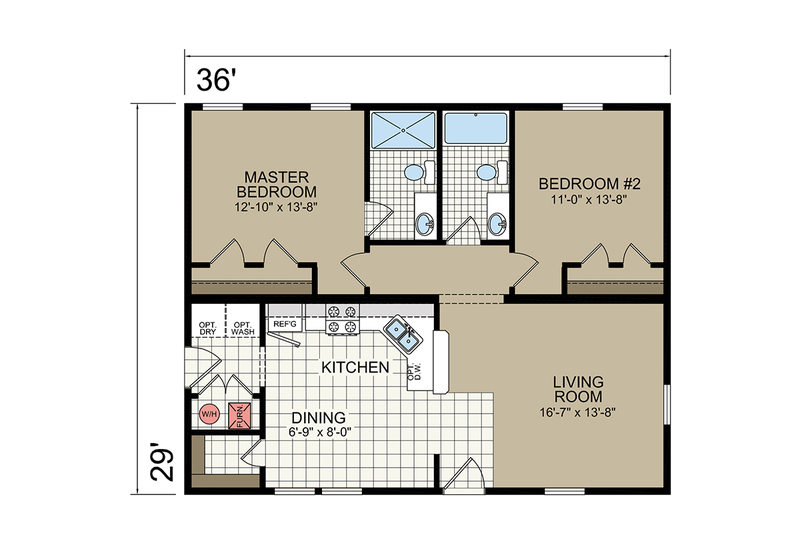 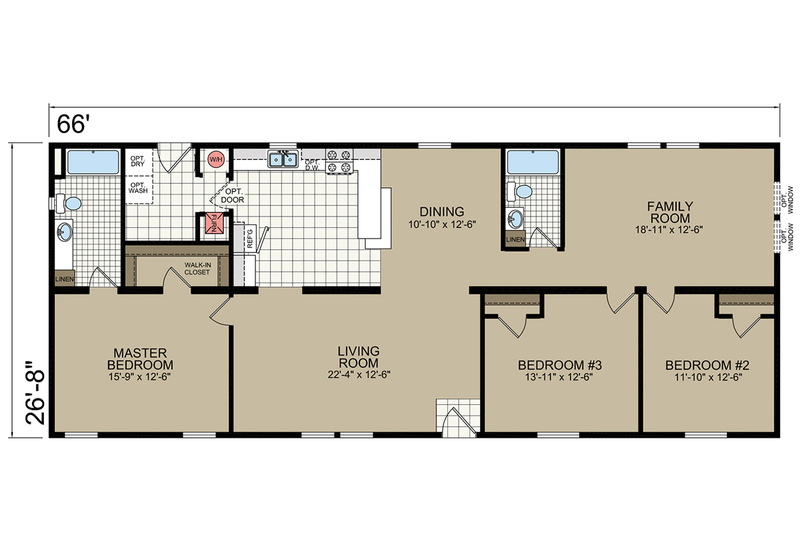 Affordable quality compact home features large front living room extra spacious and well equipped and appointed modern kitchen, two king size dual master bedrooms and baths. 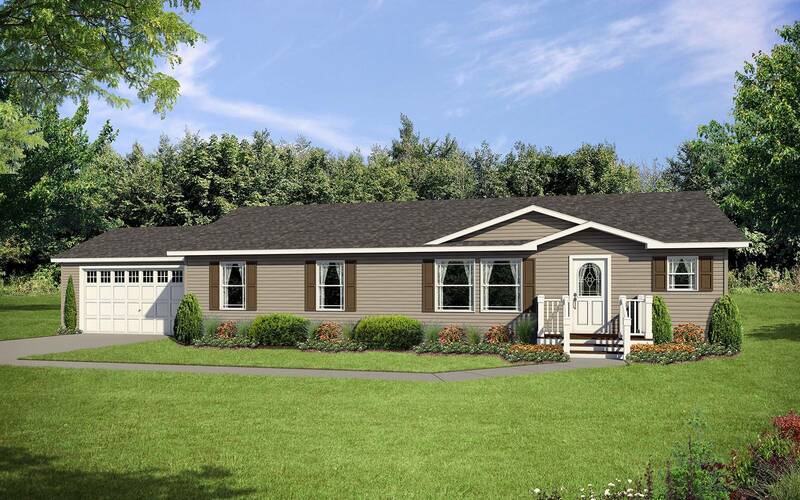 Efficiently crafted single section with customer favorite split front and rear of home bedrooms, spacious living room and beautiful kitchen in center of homes eliminates wasted hallway space. 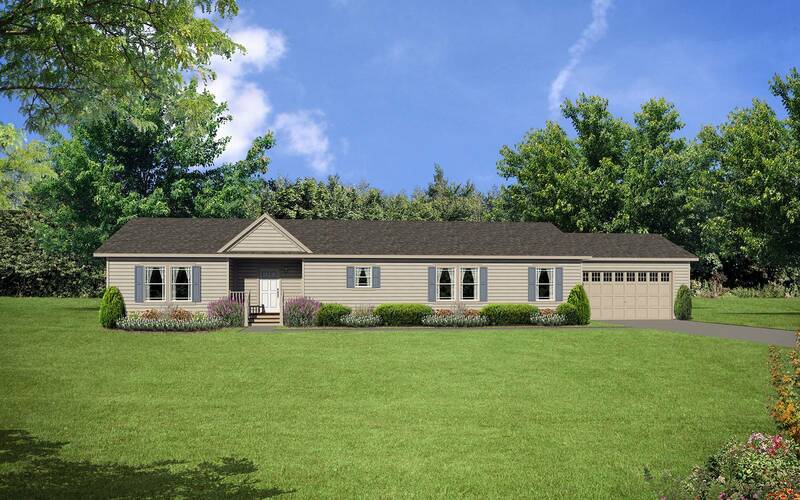 Extra large expansive family home features huge family room spanning width of home, modern elegant kitchen with raised bar top for casual dining, lots of beautiful hand crafted cabinets, large corner walk-in pantry and seemingly endless countertop space. 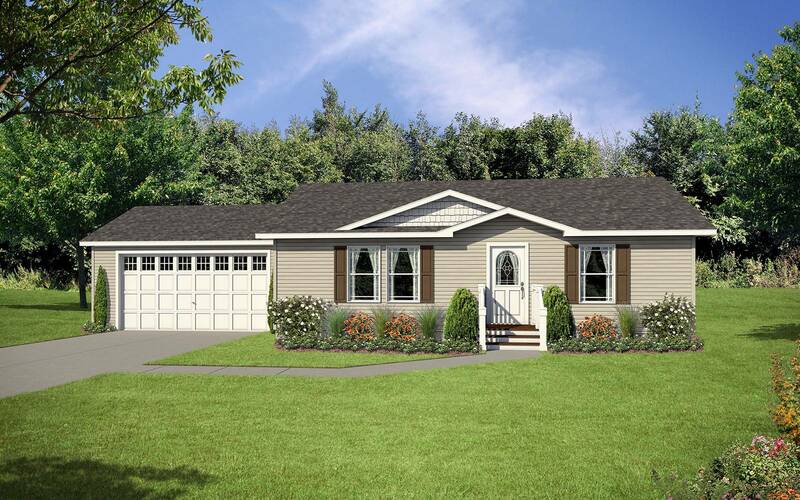 Beautifully conceived floor plan layout with recessed porch foyer entrance to spacious living room, extra large well equipped modern U-shaped kitchen with center island. 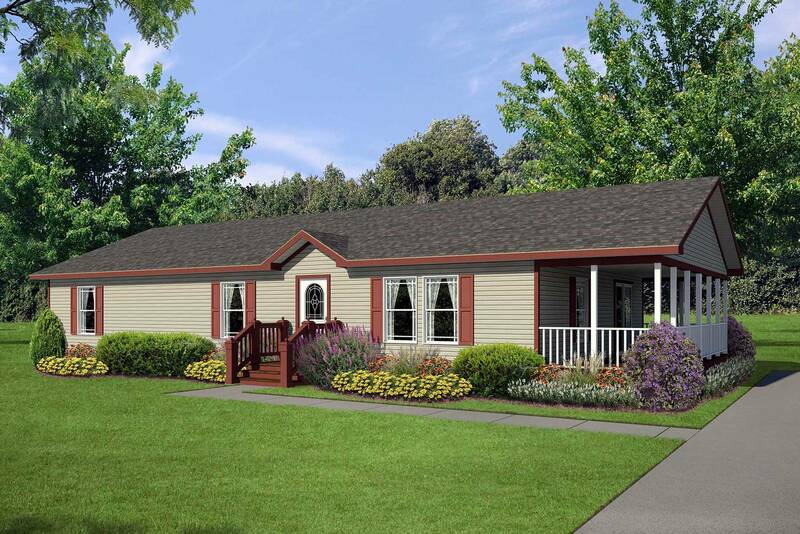 Spacious living room, extra large family room, beautiful bright kitchen, adjoining laundry/utility room offers storage capacity, king size bedrooms and deluxe baths. 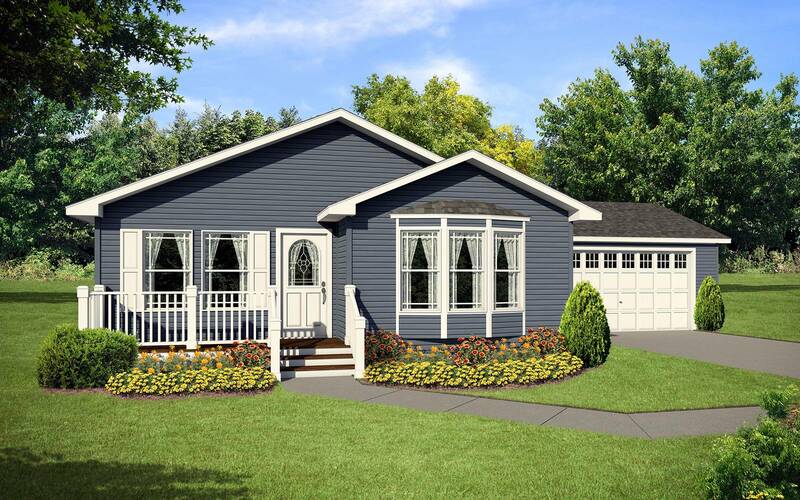 Great kitchen with optional center work top island, large walk-in pantry, overhead cabinet facing formal dining room, bright adjacent morning room for casual dining and relaxation and large laundry/utility/mudroom with additional storage capacity. 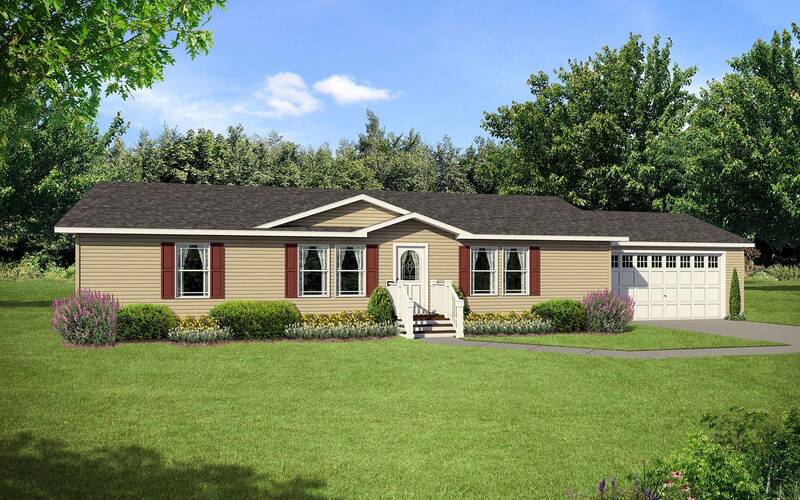 Family home with spacious living room, beautiful well equipped kitchen, extra large guest bedrooms and an elegant and comforting master suite with elegant bath featuring large walk-in closet and an abundance of linen and storage capacity.